PRDM17, otherwise known as ZNF408, is a PR domain-containing protein that is thought to be involved in transcriptional regulation. The gene encoding for PRMD17 maps to human chromosome 11, which houses over 1,400 genes. 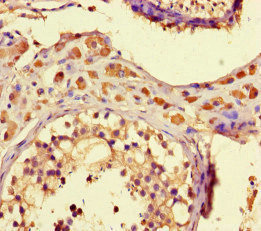 PRDM17 Polyclonal Antibody. Unconjugated. Raised in: Rabbit.